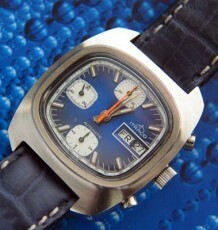 A truly spectacular vintage watch. The case on this model is unlike anything made today. The dial has a wonderful vintage patina that adds a great dimension to the watch. 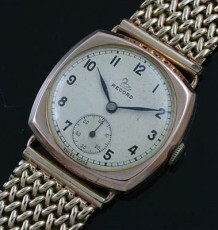 A vintage classic with dramatic gold filled case. The wonderful art deco style case has the sought after hidden lugs design. The leather strap appears to disappear under the watch case for a much cleaner look. The all original dial marked Benrus and Swiss has a minor amount of vintage Patina that adds some warmth to the over all look of the watch. 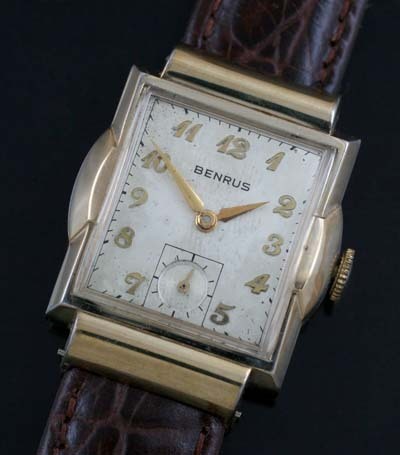 The Benrus signed 17 jewel movement was recently serviced and is keeping time. The case top is 10K rolled gold plated with a stainless steel back for extra durability. 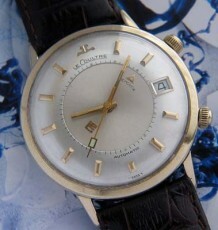 Please note the original vintage high domed acrylic crystal in place on the watch. 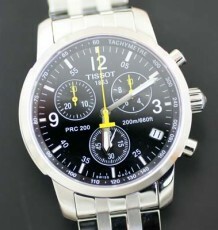 The case measures 26 mm wide by 35 mm long and can be supplied on the buyers choice of black or brown straps.